Any Construction Company - That is ready to take a long hard look at what has worked, not worked and map out a strategic plan for the future. This includes brand new contractors, seasoned contractors that have been in business since dirt was two days old and everyone in between. It is limited to construction companies with sales last year between $0 and $5,000,000 where the owners are actively involved in the company's operations. The Economy Has Tough On Contractors - From 2009 through the time of this article in September of 2012 and anyone who says otherwise is either not in construction or a dim-bulb trying to sell you non-existent sky-hooks, pipe stretchers, lumber extenders or my favorite a box of 2-9/16" holes for 2" plumbing drain waste and vent pipe. You Have Made An Important Decision - To own and operate a construction company. Most of you came from the skilled craftsman trades, some of you were working as a manager for a construction company. Some Of You Believe Competition - Is the burden you must bear to be successful and that is a trap that I hope you will avoid because if you understand and apply the 80-20 rule you will not have competition. In fact if you know how to do it right you will develop power partners with other contractors and exchange leads with each other so that you focus on the parts of construction where you make your customers and clients happy and they pay you lots of money! A Lot Of You Graduated From The University Of Hard Knocks - And have wasted a lot of time learning by experience. Maybe you began your company with a few friends and relatives and thought your overhead expenses would be low since you worked out of your home. As Time Went By - You made a decent living for yourself, hired a few employees, paid your suppliers and you earned a profit. At least that is what your tax preparer said. Then It Happened - Things begin to change and the reality of the construction industry begins to dawn on you as those early customers who were your friends because you could get faucets, fixtures and material at wholesale prices are now telling you they were happy with your work and they want your construction company to do all their future work as long as long as your price is lower than the other bids they are getting, just to keep you honest and dirt poor. The Problem Is Your Construction Company - Has experienced taken the first step in the expansion isoquant path. This Means You Have Overhead - Not just office overhead, you have field overhead too. Office overhead includes expenses like shop rent, office rent, common area management fees, bookkeeping, insurance audits, quarterly tax returns, office payroll, utilities, a computer, an administrative assistant, insurance, contributions, associations dues, etc. Field overhead includes tools and equipment, cell phones liability insurance, contributions and more. 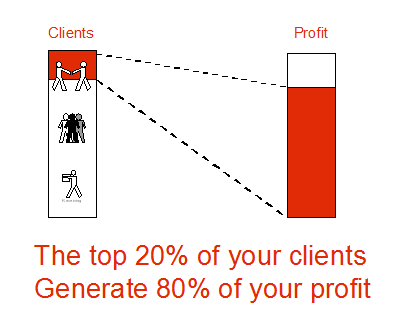 You have to juggle all these things at once to keep your company going and you have to keep your prices competitive. Now You Are Ready - To back off from the long days swinging a hammer and long evenings meeting with prospects and staying up late to crank out a bid only to be told you need to "sharpen your pencil if you want the job". That means if you will do the job for the hard cost of labor and material plus 10% (which is means by the time you add overhead, truck and equipment costs you are losing money) the customer (someone who buys everything at the lowest possible price and expects quality service, has a never ending punch-list and demands a 100 year warranty) will award you the job. No wonder construction is the only game on earth where the person "Winning The Bid" is all too often "The Loser"
Fast Easy Accounting Has A Step-By-Step Process - To help emerging contractors. We can help you discover and use Business Process Management (BPM) tools to plan your business strategy and implement the processes and procedures into a comprehensive Business Process Management system that can turn your construction company into well-oiled, lean, mean money making machine. It is simple but not easy. In the long run it is worth it and you will be glad you did. Take The First Step - And contact Sharie 206-361-3950 or sharie@fasteasyaccounting.com for a conversation. The call is free and it is a way for us to get to know each other. Profitable Construction - Companies have known about the valule of outsourced bookkeeping services for a long time and now you know about it too! 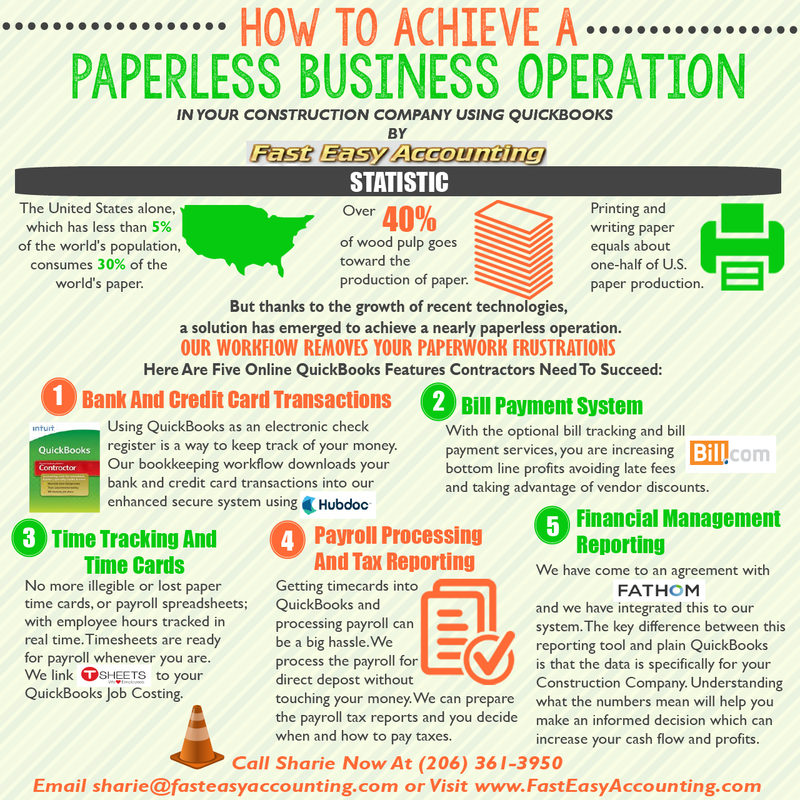 Profitable Construction - Companies have known about the value of outsourced bookkeeping services for a long time and now you know about it too!